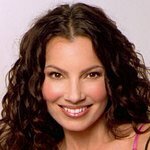 Fran Drescher will make one deserving gay couple’s wedding an occasion to remember when she officiates their marriage in a special event at XL Nightclub in New York on March 6. The lucky pair, Tom and Russell, who have been together for 20 years, are winners of Fran’s “‘Love is Love’ Gay Marriage Contest.” Fran will marry the two to show her support for equal rights in the LGBT community, as well as to celebrate the second season launch of her sitcom, “Happily Divorced,” which premieres on TV Land on Wednesday, March 7 at 10:30pm ET/PT. New York City-based Tom and Russell have a love story that touched Fran. Neither of them heavy internet users – but lifelong Fran fans – it was Russell’s sister who first notified them of the contest and encouraged them to enter. In their submission, they recounted the story of their 20-year relationship, making it obvious to all who read it that Tom and Russell are a very special couple. Tom and Russell’s story began when they met at a restaurant that Tom managed, and they bonded over a classic pop culture staple – a mix-tape. A tape led to a date, and that date led to a lasting relationship that now spans 20 years and two children. Later in their relationship, a crucial period of their lives ended up involving Fran Drescher. Russell, like Fran, is a cancer survivor; but during his days of treatment and recovery, he waited every afternoon for “The Nanny” to come on, brighten his day and give him a good laugh. Now, healthy and happy, Tom and Russell live in Manhattan with their two children and two loveable dogs. Tom and Russell, who are Jewish in faith, will marry under a chuppah, perform the breaking of the glass in the ceremony and dance the Hora. And of course, their children will take part in the special event – as flower girl and ring bearer. The exclusive event is also set to start trends in the social media world with the official launch of the #LoveIsLove hashtag. Fans of Drescher and “Happily Divorced” will be able to experience the excitement by checking into the event on FourSquare, interacting with @FranDrescher and @TVLand on Twitter and viewing photos and status updates on the “Happily Divorced” Facebook page.